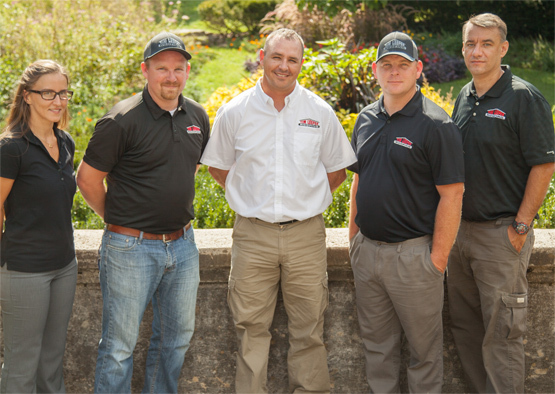 NASHVILLE, Tenn. (Oct. 19, 2015) – Roofing Contractor Magazine has named Nashville-based Tim Leeper Roofing its 2015 Residential Roofing Contractor of the Year. The company was chosen out of 150 nominations nationwide. Roofing Contractor’s annual award is highly coveted and reserved for top-tier contractors who achieve and deliver results for their customers above and beyond expectations. The magazine’s team reviews each entry, narrows the field down to finalists and then selects winners, which are announced at the conclusion of its annual Best of Success Conference in Phoenix, Ariz.
IKO Roofing Products representative John DeRosa said he nominated Tim Leeper Roofing because of the company’s integrity, outside-the-box thinking and its community minded approach to business. Tim Leeper Roofing has been endorsed by Dave Ramsey, Ralph Bristol and Bobby Bones, among others. Its community and charitable work include being an annual golf tournament sponsor for the Tennessee Baptist Children’s Home, where Leeper is a board member. Tim Leeper Roofing has been in business since 2004. Services include residential and commercial repair and replacement, and the company also has roof coating and insurance claims divisions. It primarily services the Middle Tennessee area, but also does work in all parts of Tennessee as well as the Southeastern United States. Tim Leeper Roofing is located at 14919 Lebanon Rd. in Old Hickory. It employs 24 people and grew about 20% from 2014 to 2015.